Happy Thanksgiving! I hope you are having a great day eating lots of yummy food! I saw this post at my link party a few weeks ago and was totally inspired to make something by soldering two mason jar lids together. 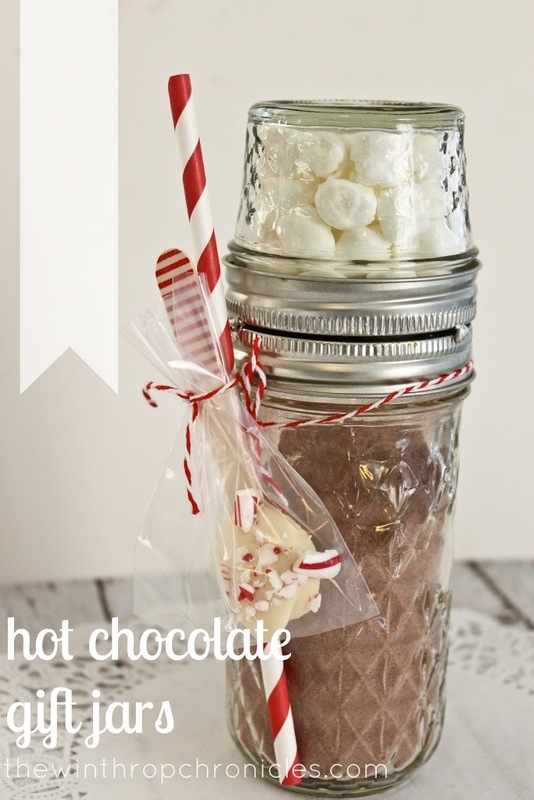 Then I thought, with the holidays and cold weather here, hot chocolate and marshmallows would be the perfect use for the soldered mason jars. And they would make perfect little gifts. To make the jars, check out her tutorial. Then I bought some paper straws and dipped some wooden spoons (from here) in melted white chocolate and sprinkled some crushed candy canes on top. Then the jar doubles as the glass for the hot chocolate.